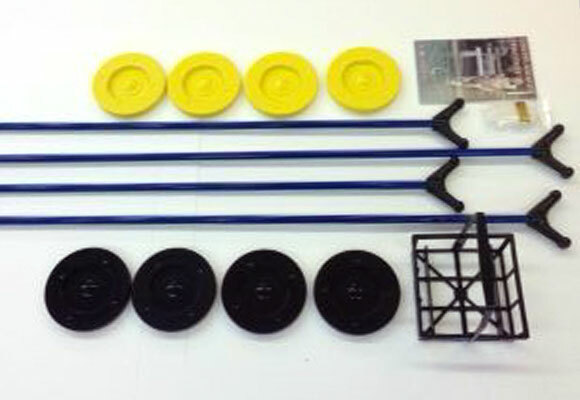 To order any of our shuffleboard accessories or replacement parts below, please give us a call at 800-540-4899. This set is ideal for recreation and resort use. It is suited for schools, churches and hotel use. Strong and flexible blue fiberglass shaft. One piece molded ball style head offers good control for recreational use.